Explore the Islands Your Way…By Land, Sea or Air. Take an inter-island ferry to explore this archipelago of beautiful islands, or hop on an airplane to nearby Victoria, B.C. or Seattle, Washington. No matter what your interests and needs, there is a means of transportation for you. San Juan Island is serviced daily by sea and air. A 90 minute ferry ride from Anacortes, Washington, begins a wonderfully scenic journey across Puget Sound to the islands. Washington State Ferries provide daily service from Anacortes and Sidney, B.C. to Friday Harbor. Automobile, bicycle, and foot passenger service is available on the ferries. The “Victoria Clipper” provides foot passenger service from Pier 69 in Seattle as well. Private yachts and boats are easily accommodated in Friday Harbor. The Port of Friday Harbor Marina is located in the center of the San Juan Islands. The 500 slip marina provides access to the Town of Friday Harbor. There is space available for 150 visiting boats ranging in size from dinghy’s to 150 feet. An alternate option is the 45 minute flight on Kenmore Air float planes departing from Lake Union, Seattle, flying directly over the San Juans. The Friday Harbor Airport is also equipped for landings by private planes. Offers pick up service at the ferry landing, including rental car service. 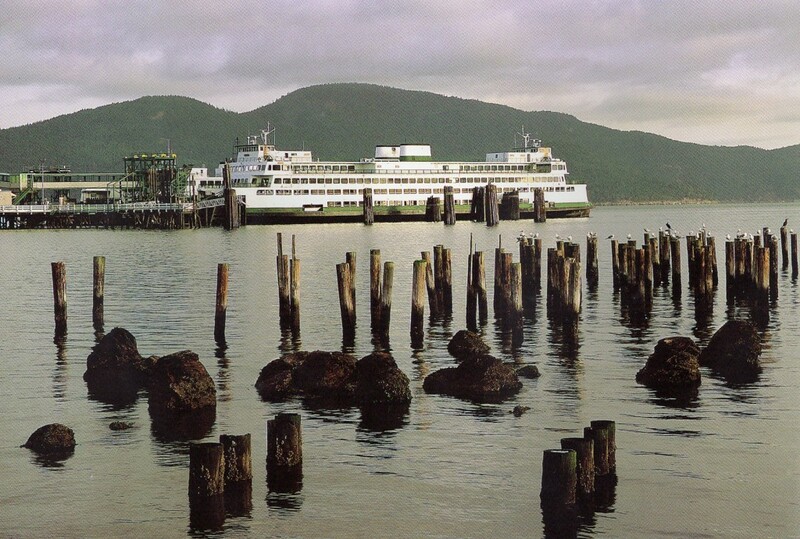 Offers transportation around the San Juan Islands. Offers door-to-door taxi service, customized tours of the islands, and an elegant stretch limo. Rent a moped, scooter or tractor to see the islands first-hand. Serves eight counties in Washington and British Columbia in Canada. 800.84FERRY (800.843.3779) or 206.464.6400. Climb aboard a seaplane to explore the islands. See the beauty and wonder of the Puget Sound from above.